Speaking Truth to Power: A New Age of First Amendment Rights? The 2017 Wiley A. Branton/Howard Law Journal Symposium focused on First Amendment rights around protest speech, media rights, and the Trump Administration. Today’s technology has allowed individuals and even high-ranking elected officials to use Twitter, Facebook, Instagram, and other social media platforms to voice opinions and offer commentary on a wide range of issues. These platforms have not only changed the ways in which we communicate and share information, they have also changed the way in which we protest and interact with protestors. The members of the Howard Law Journal chose Speaking Truth to Power: A New Age of First Amendment Rights? as its title to begin a deeper discussion on a changing landscape that has clearly impacted protest speech, the role of the media, and the First Amendment. 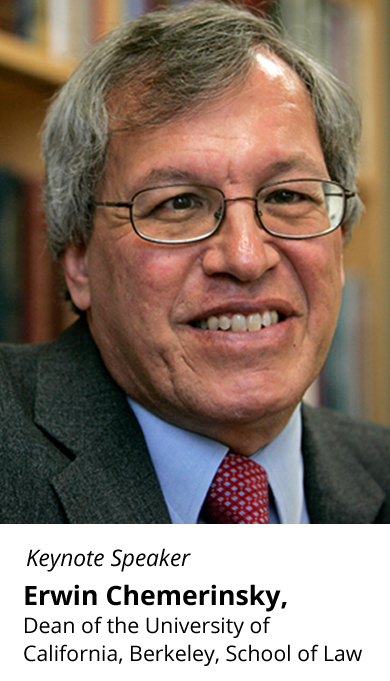 Erwin Chemerinsky, dean of the University of California, Berkeley, School of Law and an expert on First Amendment rights, delivered the keynote address at the event. He was joined by several experts in law, media, and government, each of whom presented their research or expressed their views on protest speech, media rights (is it the role of the media to be a check on the government? ), and the relationship between the media and the Trump Administration. The speakers will also publish their research in an upcoming issue of the Howard Law Journal.